Mitchell 1 announces the release of its 2019 Emission Control Application Guide (ECAT19) for domestic and import cars, light trucks, vans (diesel engines) and Class ‘A’ motor homes with gasoline engines, model years 1966 – 2019. 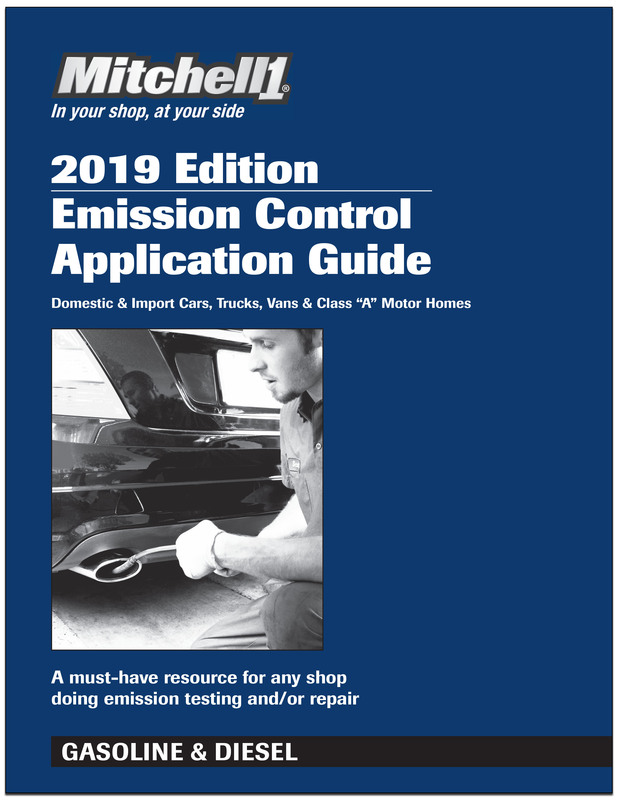 “As engine controls become more intertwined with other vehicle systems, the 2019 Mitchell 1 Emission Control Application Guide can help automotive repair shops cut through the complexity to work more efficiently,” concluded DiVerde. To order a copy of the 2019 Emission Control Application Guide, call 888-724-6742 or purchase online.